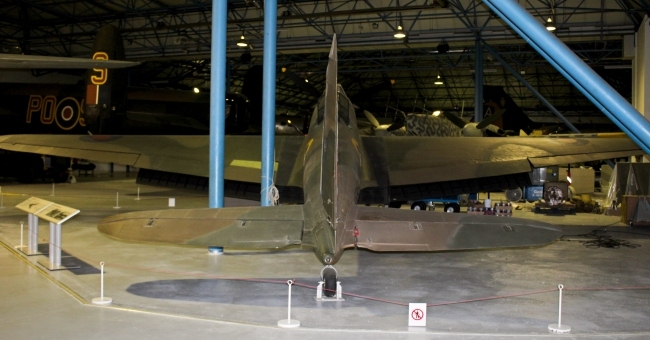 Entering service in May 1937 the Battle would be the first operational aircraft to be powered by the Rolls-Royce Merlin and would score the first Royal Air Force aerial victory of the Second World War. 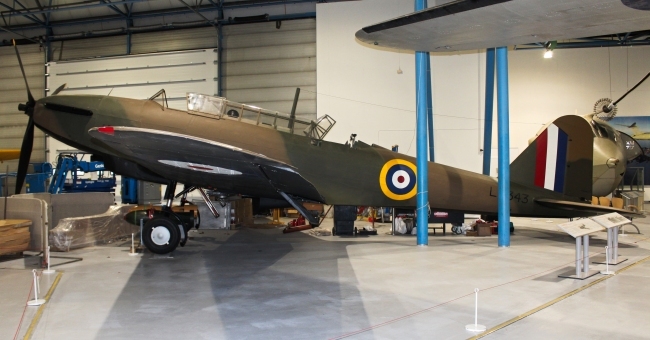 After suffering horrendous losses during May and June 1940 the Fairey Battle began to be removed from front line service. On the 12th April 1933 the Air Ministry issued Specification P.27/32 for a single engined two seater monoplane bomber able to fly 1,000 miles, have a speed of 200 mph whilst carrying a bomb load of 1,000lb to replace the Hawker Hart and yet to enter service Hawker Hind. The Fairey design team, led by Marcel Lobelle, produced an aircraft with a single cockpit which housed a crew of three. Pilot, observer/navigator and radio operator/gunner. With a revised Specification P.23/35 a production order for 155 aircraft was placed during June 1935 before the prototype had flown, which it did on the 10th March 1936. Flight Lieutenant Christopher Staniland, Fairey's chief test pilot, was at the controls for this flight. The 2nd April 1936 saw the aircraft named the Battle. This was followed on the 27th June 1936 with an appearance at the Hendon Air Display. Next month saw the aircraft arrive at the Aircraft and Armament Experimental Establishment, Martlehsam Heath for trials. The first production aircraft was built on the 14th April 1937 and was powered by the 1,030-hp Rolls-Royce Merlin I, it was the Battle that the Merlin would first see service with Royal Air Force aircraft as this was the very first order for the famous engine. It went through performance trials where it achieved a speed of 243 mph, comfortably beating the specified 200 mph, and flew 1,050 miles with a full bomb load. Armament consisted of a sole 0.303-in machine-gun firing forward and a Vickers 'K' gun in the rear. 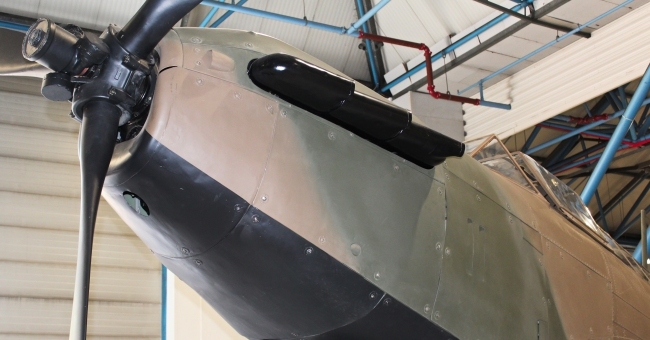 One major design flaw with the Fairey Battle was with the rear gunners position as the screen intended to protect him was poorly designed and as result a downdraught was deflected into his face, making rear visibility poor. Whilst both the prototype and first production Battles were built at Hayes, future planes would be built at a brand new factory in Heaton Chapel, Stockport, before also being built by Austin Motors based at Longbridge, Birmingham after winning a sub-contract as a result of further orders for Battles being placed. 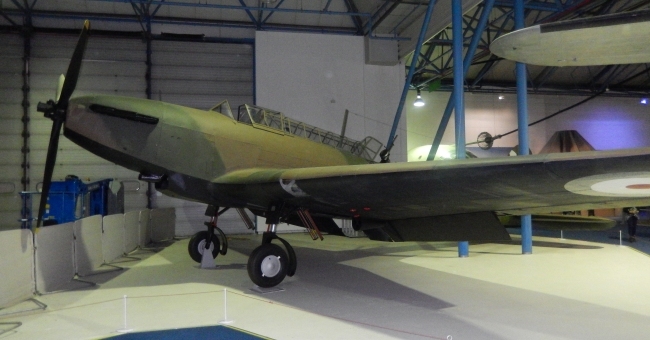 During 1937 the Fairey Battle started to enter RAF service with No. 63 Squadron at RAF Upwood receiving their first on the 20th May. 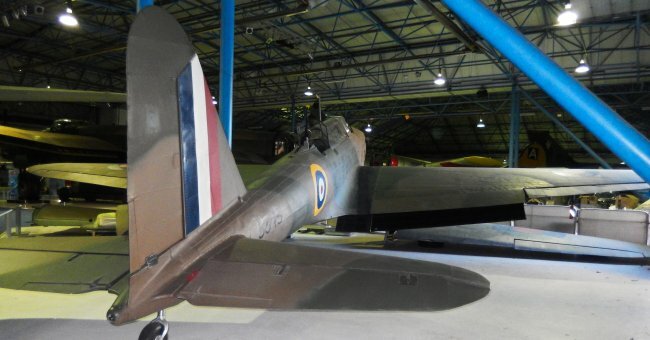 By January 1939 the Royal Air Force could call on over 400 Battles. With the German invasion of Poland on the 1st September 1939 and war now imminent the following day saw ten Fairey Battle Squadrons sent to France as part of the Advanced Air Striking Force. Despite an early success when a Battle of No. 88 Squadron recorded the first Royal Air Force aerial victory of the Second World War when it shot down a Messerschmitt Bf 109 on the 20th September 1939, ten days later a disastrous raid saw the type no longer used for unescorted low-level daylight operations. This had seen No. 150 Squadron lose four of five Battles, with the remaining aircraft crashing on landing, which had been sent to attack enemy position in the Saar. The following year on the 10th May 1940 the German invasion of France and the Low Countries began, it was during the next four days that the Fairy Battle was to show its shortcomings. Its lack of self-sealing fuel tanks and armoured cockpit contributing to its heavy losses over the next four days, when on four different missions out of a total of 118 aircraft used just over half of the aircraft, 60, were lost. During one of these missions on the 12th May Flying Officer D.E. Garland and Sergeant T. Gray became the first RAF recipients of the Victoria Cross, which were awarded posthumously. Further raids were now carried out only at night. The 15th June 1940 saw the remaining Advanced Air Striking Force Battles carry out their final attack before returning to the UK. In the period from the 10th May to the 15th June 200 of the type had been lost. These losses saw the Battle begin to be removed from front line service. Six squadrons were used during the Battle of Britain attacking various targets with the 15th October 1940 seeing the last operation as a bomber by UK based squadrons. After this all remaining Battle squadrons were equipped with the Vickers Wellington. The type would still serve as a bomber overseas until mid 1941. 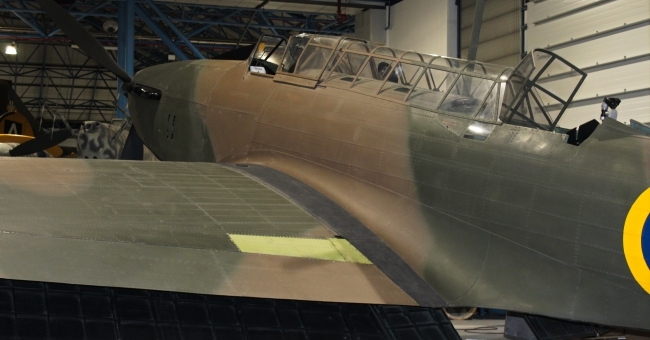 Although there were four light bomber variants of the Battle these were effectively the same aircraft but powered by a different version of the Rolls-Royce Merlin. The Mk I was powered by the Merlin I, Mk II the Merlin II, Mk III the Merlin III and the Mk V the Merlin V.
The type would also serve as a target tug known as the Battle TT, with July 1939 seeing the first example converted for this role, and also as a trainer. The first trainer version known as the Fairey Battle T flew on the 27th October 1939 at RAF Ringway with Duncan Menzies at the controls. This was noticeably different as instead of the standard cockpit it had two individual cockpits. The Battle IT was the other trainer variant and this was used for gunnery training and had a rear turret installed. A number of aircraft also served as test-beds including with the Bristol Aeroplane Company who would use a number of airframes to test engines. These included the engine intended to power the Fairy Albacore, the 1,065-hp Bristol Taurus II and later the 1,180-hp Taurus XII. Other engines tested included the 1,375-hp Bristol Hercules II and Hercules XI. By the time the last production aircraft was delivered on the 2nd September 1940, a Battle TT, 2,198 Fairey Battles had been built. Battle Mk II Like the Mk I but powered by a 1,030-hp Rolls-Royce Merlin II. Battle Mk III Like the Mk I but powered by a 1,310-hp Rolls-Royce Merlin III. Battle Mk V Like the Mk I but powered by a Rolls-Royce Merlin V.
Battle Mk IV Like the Mk I but powered by a pressure water cooling Rolls-Royce Merlin. Battle IT Training aircraft with a rear turret installed. Battle IIT One prototype with a 840-hp Wright Cyclone R-1820-G38 engine which was to be used if Rolls-Royce Merlins became unavailable.